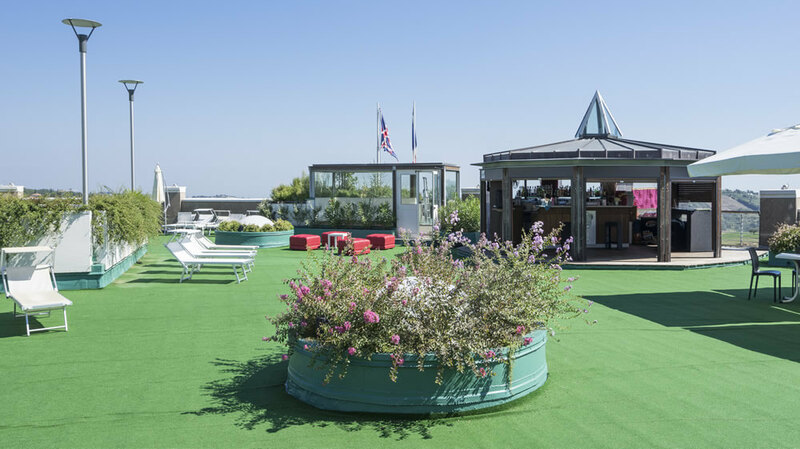 The roof garden, situated on the last floor of the Palace Hotel, surrounded by mediterranean evergreen plants, offers an incomparable view on the Adriatic Riviera. Perfect for candle-lit dinners, the Roof Garden, romantic and refined, has a direct access to the panoramic swimming pool. 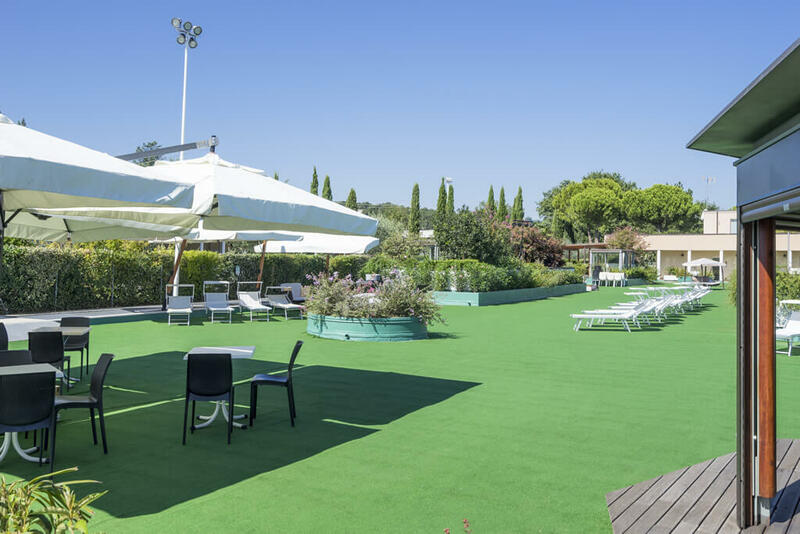 In summer our hotel with solarium in the pool is also a suitable space, where you can organize informal aperitifs, theme parties and refreshments in great style. 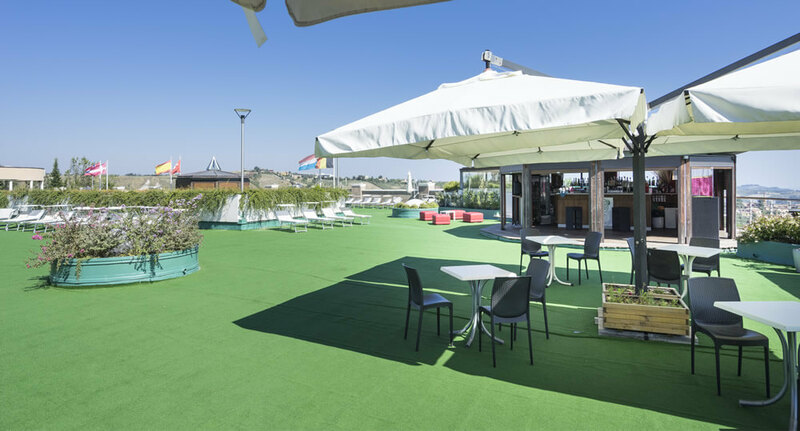 From here you can enjoy a unique panoramic view from the Romagna hinterland, to the sea.